Yeah! I've completed another custom order. 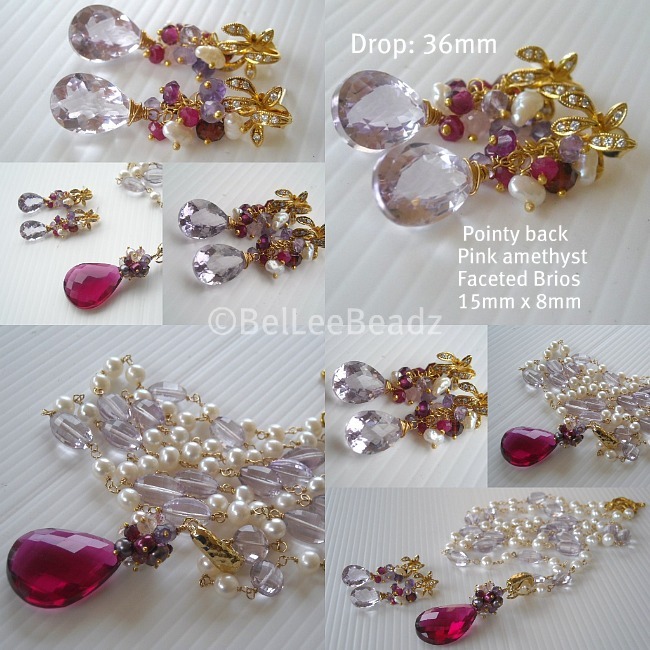 Necklace is almost like....same but different......DARLENE.....pink amethyst microfaceted oval shape + freshwater pearls. Gorgeous, pointy back, bevelled and faceted pink amethyst brios topped with rose quartz, freshwater pearls, rubies, garnet and amethyst rondells for the earrings.